"There was a great devotee of Lord Caitanya known as Kholāvecā Śrīdhara, who was a very poor man. He was doing a small business selling cups made from the leaves of plantain trees, and his income was almost nothing. Still, he was spending fifty percent of his small income on the worship of the Ganges, and with the other fifty percent he was somehow living. Lord Caitanya once revealed Himself to this confidential devotee, Kholāvecā Śrīdhara, and offered him any opulence that he liked. But Śrīdhara informed the Lord that he did not want any material opulence. He was quite happy in his present position and wanted only to gain unflinching faith and devotion unto the lotus feet of Lord Caitanya. That is the position of the pure devotees. If they can be engaged twenty-four hours each day in devotional service they do not want anything else, not even the happiness of liberation or of becoming one with the supreme. 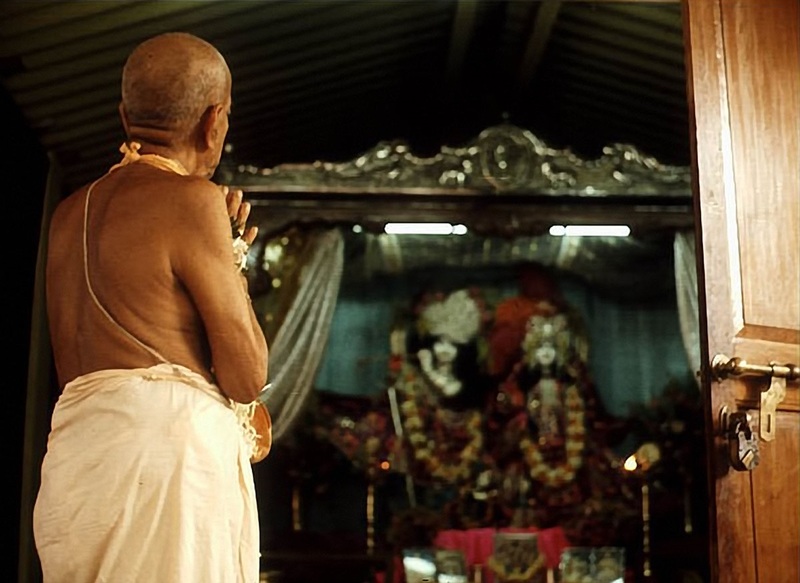 In the Nārada-pañcarātra it is also said that any person who has developed even a small amount of devotional service doesn't care a fig for any kind of happiness derived from religiousness, economic development, sense gratification, or the five kinds of liberation. Any kind of happiness derived from religiousness, economic development, liberation or sense gratification cannot even dare to enter into the heart of a pure devotee. It is stated that as the personal attendants and maidservants of a queen follow the queen with all respect and obeisances, similarly the joys of religiousness, economic development, sense gratification and liberation follow the devotional service of the Lord. In other words, a pure devotee does not lack any kind of happiness derived from any source. He does not want anything but service to Kṛṣṇa, but even if he should have another desire, the Lord fulfills this without the devotee's asking."